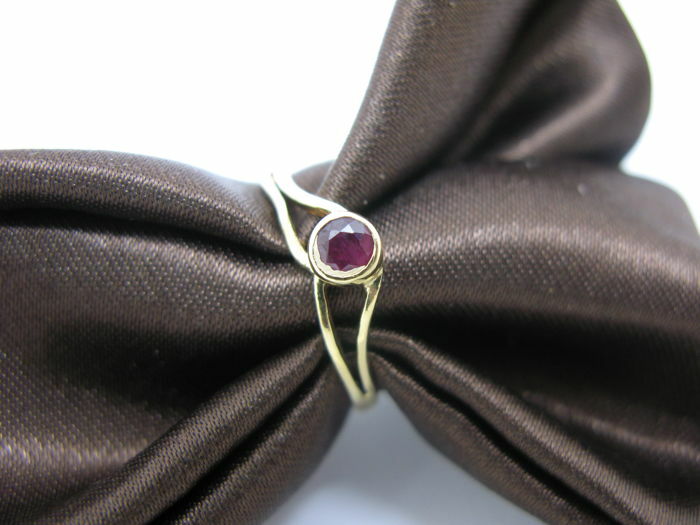 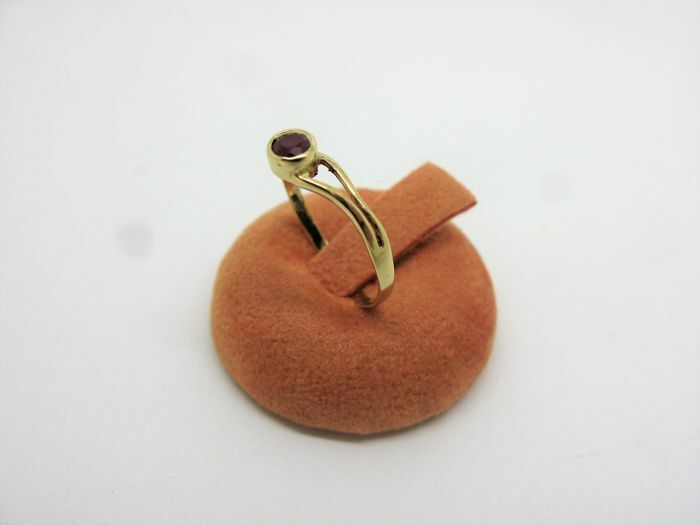 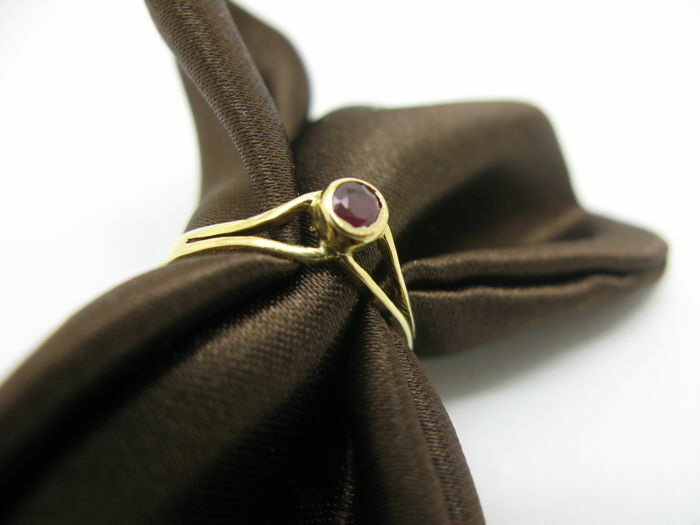 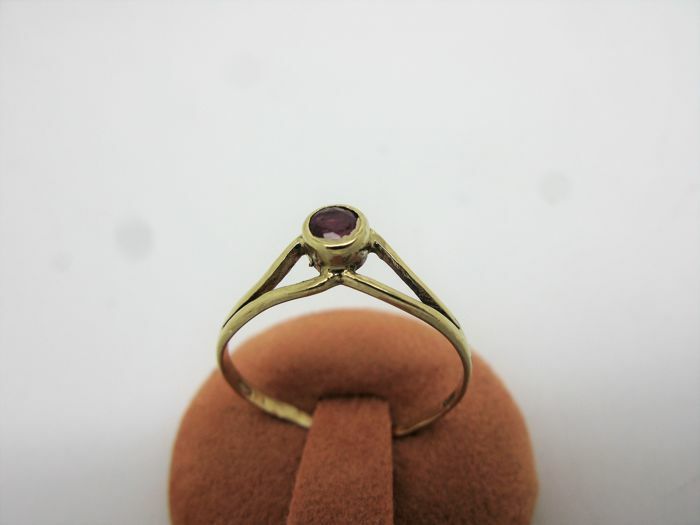 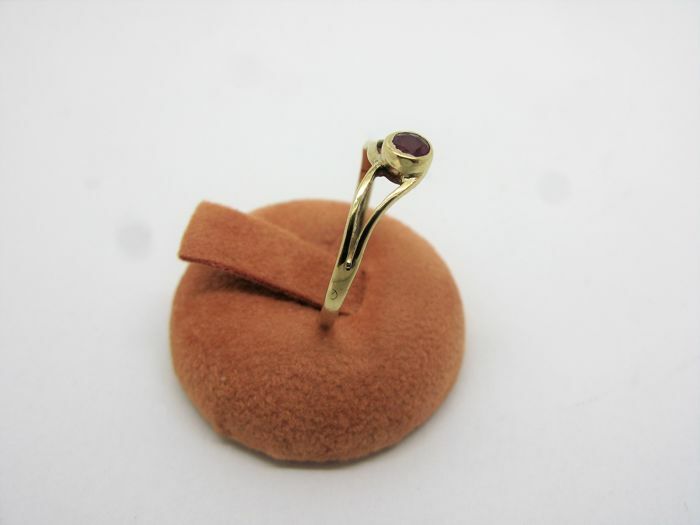 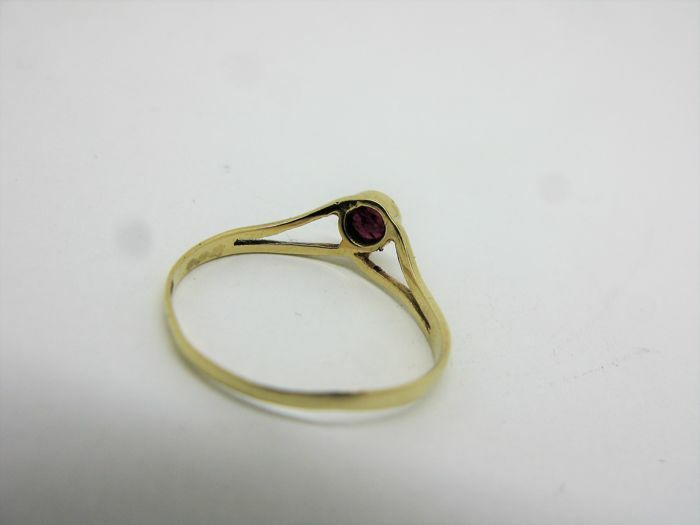 Solid 18 kt (750) yellow gold ring, finely tooled with central brilliant cut ruby weighing 0.20 carats. 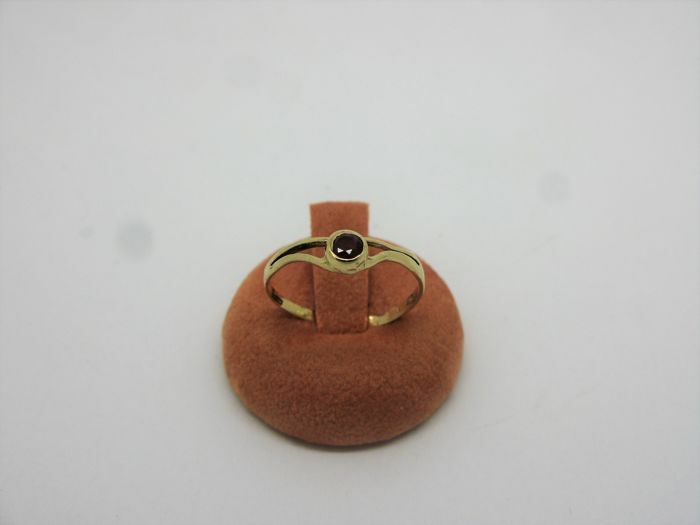 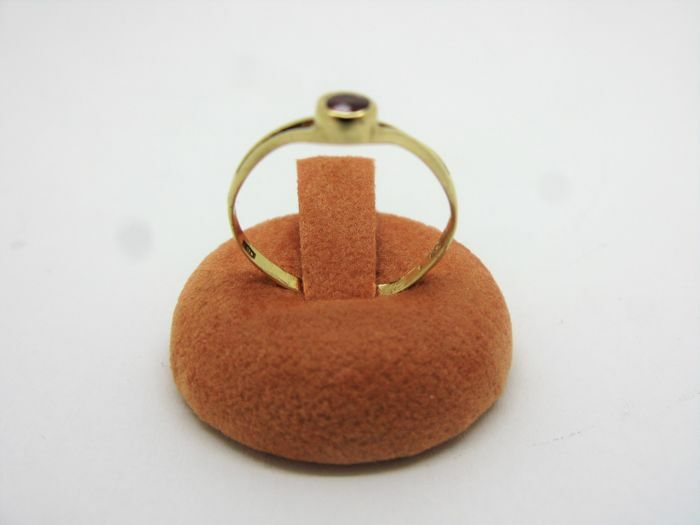 The item has been entirely restored to new condition at our goldsmith workshop. 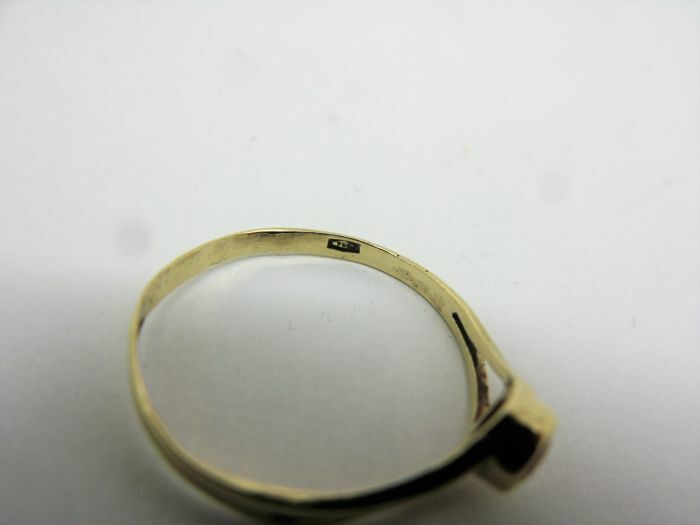 Work carried out: full inspection, ultrasounds, polish and galvanic plating.